To celebrate this special week & to offer some eco-friendly wedding options, go check out Dream Green Weddings, an online eco-wedding boutique. They offer the largest collection of eco-friendly wedding favors, invitations, gifts and decor. They even have unique wedding invitations made of 100% PCW paper with soy ink. 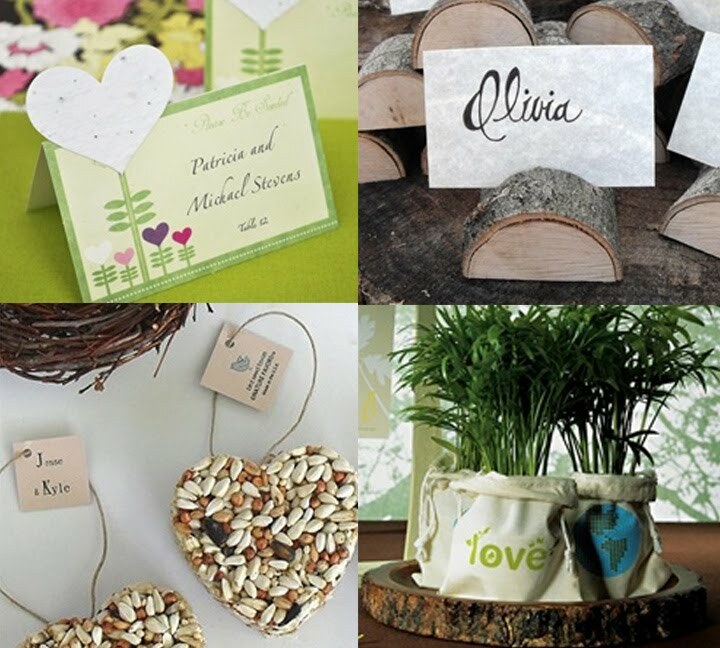 Planning a green wedding doesn't have to be an "all or nothing" concept. By making just a few eco-friendly choices, you can decrease your environmental footprint. check back in tomorrow! Because it's Earth Week, I'm dedicating all week to feature those who choose to be eco-friendly!